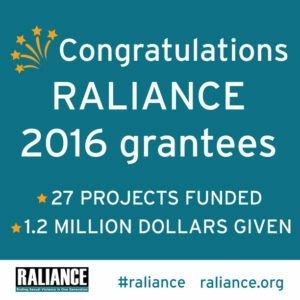 The California Coalition Against Sexual Assault (CALCASA)-PreventConnect is pleased to join other leading sexual violence prevention organizations, the National Sexual Violence Resource Center (NSVRC) and the National Alliance to End Sexual Violence (NAESV), to announce the creation of “Raliance,” a collaborative initiative dedicated to ending sexual violence in one generation. This significant moment in the prevention movement is being made possible through a multiyear, $10 million commitment from the National Football League (NFL) – the first-ever major corporate funding of sexual violence prevention initiatives. 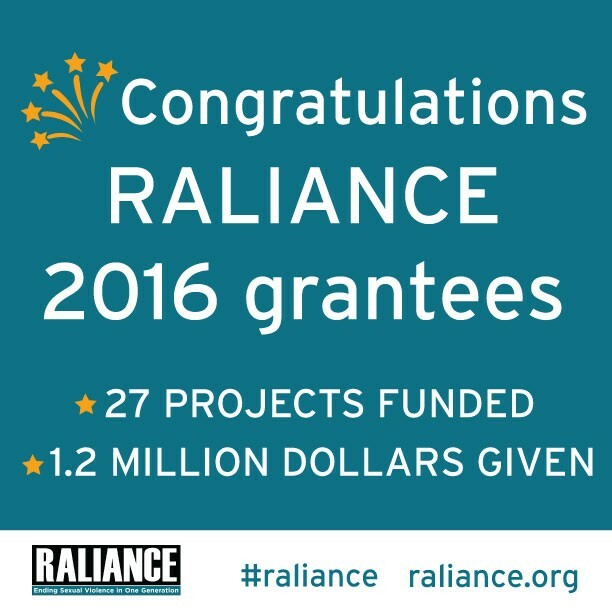 Today Raliance announced it will fund 27 projects totaling nearly $1.2 million in the first round of an ongoing grant program. The program seeks to advance promising, replicable practices or policies that 1) improve the response to victims of sexual violence; 2) reduce the likelihood of perpetration of sexual violence; or 3) strengthen communities’ and organizations’ capacity to create safe environments. The application period for the second round of grants, totaling $600,000, will open on July 5, 2016.